Aakash Exploration Services IPO is a new IPO launching 0n 17th April 2017. Aakash Exploration Services Limited, an oil & gas exploration company, is all set to float an IPO. Lets have a detailed review of Aakash Exploration IPO & in-depth analysis of its IPO release date, IPO offer price, IPO subscription, IPO allotment, grey market price and other details like the company’s background, its financial positions, its promoters and other related things. Established in 2007, Aakash Exploration Services Limited is a company providing services for Oil and Gas Exploration with a fundamental vision of being a leader in providing services to Oil and Gas Field while achieving international standard of excellence. The company is based out of Ahmedabad, Gujarat and spear headed by our promoters Mr. Hemang Navin Haria, Mr. Vipul Navin Haria and Mr. Krunal Pravin Haria, all having experience of oilfield services industry. 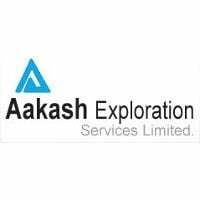 Public issue of 18,00,000 equity shares of face value of Rs.10/- each (“equity shares”) of aakash exploration services limited (“ our company” or “the issuer”) for cash at a price Rs.56/- per equity share (including a share premium of Rs.46/- per equity share) (“issue price”) aggregating to Rs.1008 lakhs (“the issue”), of which 90,000 equity shares of face value of Rs.10/- each for a cash price of Rs.56/- per equity share, aggregating to Rs.50.4 lakhs will be reserved for subscription by market maker (“market maker reservation portion”). The issue less the market maker reservation portion i.e. issue of 17,10,000 equity shares of face value of Rs.10/- each at an issue price of Rs.56/- per equity share aggregating to Rs.957.6 lakhs (is hereinafter referred to as the “net issue”). Aakash Exploration Service limited has appointed one Lead Manager i.e. Monarch Networth Capital Limited. The registrar to the offer is Skyline Financial Services Privtae Limited. The release date of the issue date of the IPO is 17th April 2018 & closing day of the issue is 19th April 2018. The face value of each equity share is Rs.10 but the price band of the IPO is Rs.56 per shares i.e. at Rs.46 premium. The Issue size of Aakash Exploration IPO is Rs.1008 Lakhs i.e. INR 10 crores. The equity shares in the offering is around 18,00,000 shares of which 90,000 equity shares are reserved for market makers while 17,90,000 shares are up for net issue to the public. This Company was originally incorporated as ―Aakash Exploration Services Private Limited‖ on January 17, 2007 under the Companies Act, 1956 vide certificate of incorporation issued by the Registrar of Companies, Gujarat, Dadra and Nagar Havelli. The company was converted into a Joint Stock Company from the Partnership firm M/s. Aakash Roadlines. M/s. Aakash Roadlines was formed on 30/05/2006 with the aim of carrying on the business of transportation hire, technical services and common carries. Company was subsequently converted in to a public company and consequently name was changed to ―Aakash Exploration Services Limited‖ (AESL) vide fresh certificate of incorporation dated November 8, 2017 issued by Registrar of Companies, Ahmedabad, Gujarat. The CIN of the Company is U23209GJ2007PLC049792. The Exploration company is based out of Ahmedabad, Gujarat and spear headed by our promoters Mr. Hemang Navin Haria, Mr. Vipul Navin Haria and Mr. Krunal Pravin Haria, all having experience of oilfield services industry. Mr. Hemang Navin Varia having an experience of over 18 years, handles the budgeting issues, planning and finance related issues of the company. Mr. Vipul Navin Haria having an experience of over 20 years, handles the machinery and technical issues. Mr. Krunal Pravin Haria having an experience of over 14 years, handles and controls the work at sites. With a journey of over ten years the company has shown tremendous growth. The PAT of the SME company has seen a decent growth but then especially in 2016, it has seen a big drop. The growth figures is quite fluctuating, this means that IPO will be a risky investment. This may also lead to low subscription to this IPO. No payment has been made or benefit given to our Promoters in the two years preceding the date of the Prospectus or is intended to be given by us except mentioned / referred to in this Chapter and in page no. 173 under Related Party Transactions, under the Chapter “Financial Information of our company” of the Prospectus. Promoters jointly hold 47,89,700 Equity Shares aggregating to 96.76 % of pre-issue Equity Share Capital in the Company and they are interested to the extent that they have promoted the Company and to the extent of their shareholding in our Company & dividend payable thereon, if any. Promoters are not currently interested in any transaction with our Company involving acquisition of land, construction of building or supply of any machinery. Company has not availed any loans from the Promoters of our Company as on the date of this Prospectus. Promoters/ Directors, may be deemed to be interested to the extent of fees, if any, payable to them for attending meetings of Board or Committees thereof as well as to the extent of remuneration and/or reimbursement of expenses payable to them for services rendered. Promoters are not currently interested in any transaction with the Company involving acquisition of land, construction of building or supply of any machinery. Equity Shares offered 18,00,000 Equity Shares of face value of Rs. 10/- each fully paid of the Company for cash at price of Rs. 56/- per Equity Share aggregating Rs.10,08,00,000/-. Reserved for Market Makers 90,000 Equity Shares of face value of Rs. 10/- each fully paid of the Company for cash at price of Rs. 56/- per Equity Share aggregating Rs.50,40,000/-. Net Issue to the Public* 17,10,000 Equity Shares of face value of Rs. 10/- each fully paid of the Company for cash at price of Rs. 56/- per Equity Share aggregating Rs.9,57,60,000/-. Retail Investors Portion 8,55,000 Equity Shares of face value of Rs. 10/- each fully paid of the Company for cash at price of Rs. 56/- per Equity Share aggregating Rs.4,78,80,000/-. Non Retail Investors Portion 8,55,000 Equity Shares of face value of Rs. 10/- each fully paid of the Company for cash at price of Rs. 56/- per Equity Share aggregating Rs.4,78,80,000/-. The Issue Price is determined by our Company in consultation with the Lead Manager on the basis of the following qualitative and quantitative factors. The face value of the Equity Share is Rs. 10 and Issue Price is Rs.56/- per Equity Share and is 5.6 times the face value. Industry Peers – Based on EPS, the company ranks 4th with companies among all exploration companies. The Grey Market Premium are generally out before 1 week of IPO issue date but for SME Companies, Grey Market pricing are not considered.